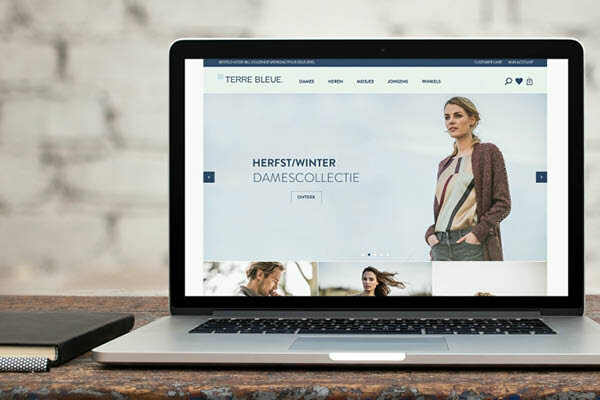 Terre Bleue is a Belgian fashion house that sells smart casual clothing for women and men. We create outfits that make you look radiant every moment of the day. "Why the name Terre Bleue? Terre Bleue is a reference to the blue planet, the Earth. Blue is a symbol for water, but means so much more. According to colour psychologists blue stands for ‘reliability’. 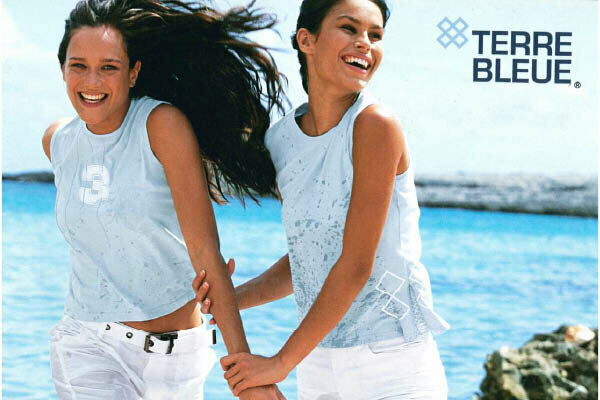 Terre Bleue’s cross-shaped logo is a symbol of harmony in the Inca culture." Our stylists at Studio Terre Bleue spend twelve months working on each collection. In the design studio – the beating heart of our Belgian fashion house – every design takes shape, growing from a sketch into that favourite piece of clothing in your wardrobe. Curious about our women’s and men’s collections? Discover them here. 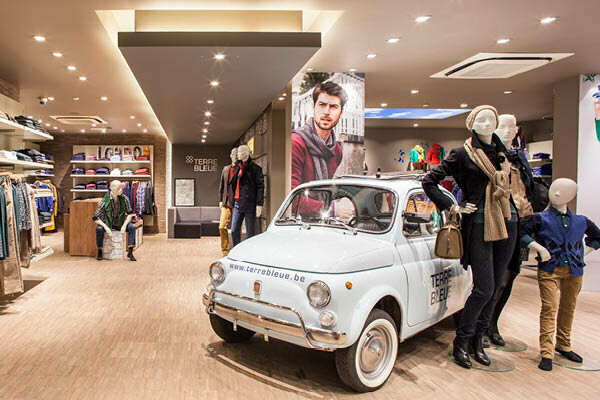 Terre Bleue is a fashion house with an authentic story. Our story is that of a passionate, enterprising family with a heart for fashion and a heart for people in particular. Mauritz Perquy and his brother Jozef start a wholesale business in clothing and accessories. After a few years they name the young company Duror (inspired by the French for ‘as durable as gold’), because their main motivation is quality. It still is. 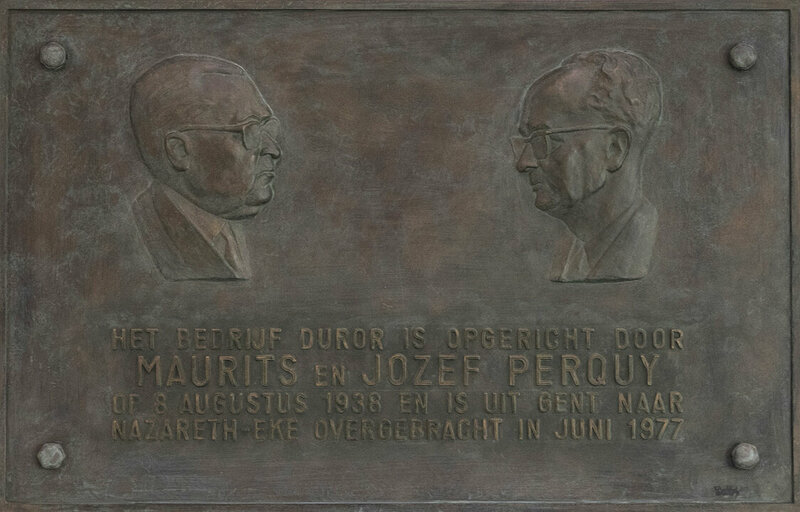 Jozef’s sons, Piet and Erik Perquy, take over and expand their range to include women’s, men’s and children’s clothing. This proves a success, generating explosive growth. The brothers are itching to put their own designs on the market. They launch their own brand, Porcini, with chic women’s clothing that is completely attuned to the spirit of the times. Dirk Perquy, Jozef’s grandson, takes over the management of the family firm and launches Chummy Face, the company’s own collection of casual children’s clothing. Mums are squeezing into the largest sizes of the Chummy Face children’s line. So, at the customers’ request, we start a casual chic line for women. The collection is called Terre Bleue. We open our first dedicated boutique in our home city of Ghent. Time to bring men in from the cold. We launch a men’s collection. Peter Perquy, the fourth generation, joins the family firm. He is the commercial director of Terre Bleue. Launch of the Terre Bleue online store. We pool our knowhow and expertise with the Belgian fashion brand Gigue, becoming part of the same fashion company.We begin our export strategy in the Netherlands. Because we believe that corporate social responsibility is essential for a company, we support various projects. When selecting these projects, we focus on three issues that are close to our hearts: enterprise, women and water. Every year we donate a percentage of our profits via Entrepreneurs pour Entrepreneurs ​​​​​​​to two organisations that work on sustainable solutions in developing countries, Incofin and Protos. Incofin is a social investment management company. Through Incofin we mainly support enterprising women in developing countries. Thanks to microcredit they are able to develop small-scale economic activities. The result? Local entrepreneurship increases, which means that women can give their children more educational opportunities. Did you know that our brand name - Terre Bleue - is a reference to the Earth, the blue planet, which consists mainly of water? Water is the basis of all life. Access to water is crucial for a community’s sustainable development. Via Protos, an organisation that launches water and sanitary projects, we support water management in two river basins in Haiti. In this way we ensure that more people have access to drinkable water and that more farmers have the necessary water supply.